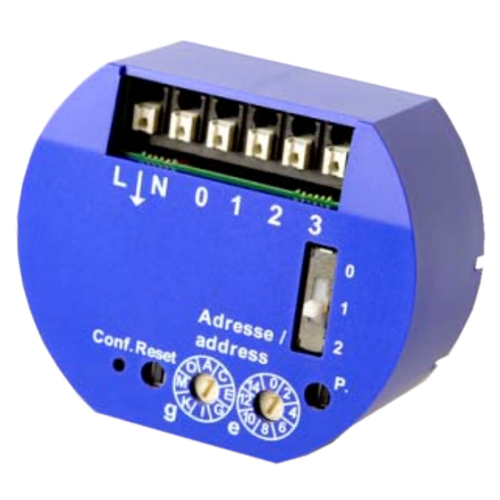 SM2 LON sensor module with 2 digital inputs (internal 5V) which can be connected to one 2-gang switch/push button or to two separate switches/push buttons. Intented for installation in a recessed socket. LON Powerline C-Band interface as per DIN EN 14908-3 or ISO/IEC 14908-3. Input high signal internally provided 5V input potential.